There are few places where you can stand in the middle of a room and almost everything you see is made or decorated by Tiffany: glass, paint, finishes, etc. St. Mark's Evangelical Lutheran Church on St. Paul Street, with its entire interior designed by the Tiffany Company of New York, is one of them. In the 1890's, the St. Mark's congregation engaged architect Joseph Evans Sperry (who would later go on to design Baltimore's Bromo Seltzer Tower, among other notable buildings) to help them build a new church. Sperry came up with a Romanesque design that is known for its heavy stones, arched doors and windows, and short columns. Romanesque design comes from central and western Europe, where many of St. Mark's congregants also traced their lineages. To this day, an Estonian congregation called EELK Baltimore Markuse Kogudus continues to use St. Mark's for worship each month. In 1898, the church was completed and since then has been one of Baltimore's outstanding examples of Romanesque architecture. On the inside, St. Mark's engaged the Tiffany Glass Decorating Company, under the direction of Rene de Quelen (Tiffany's head artist), to come up with a plan that was equally fitting to the grand architecture. De Quelen used a Byzantine approach, with deep colors, lots of jewels, and many mosaics. 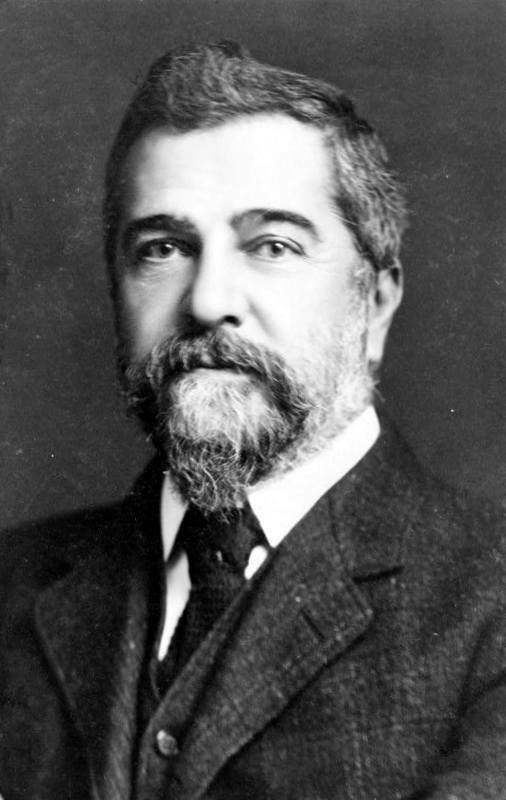 Louis Comfort Tiffany, son of Tiffany's founder and then head of the company, had studied art in Paris and had spent time in Spain and North Africa where he learned about this approach to decorating, and is thought to have helped direct de Quelen in his approach. The interior boasts Tiffany windows and Rubio marble inlaid with mother of pearl for the altar, pulpit, and lectern. Johns Hopkins, “St. 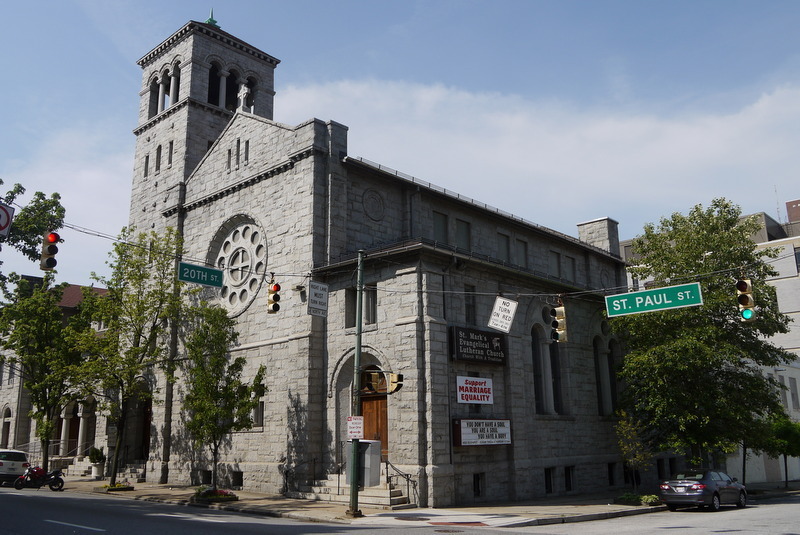 Mark's Evangelical Lutheran Church,” Explore Baltimore Heritage, accessed April 23, 2019, https://explore.baltimoreheritage.org/items/show/42.